The project began in August 2010. It is a tapestry 150cm high, 250cm wide. Origin of the cartoon is a Tapestry 5.1 in book: La Tapisserie Flamande, Guy Delmarcel. 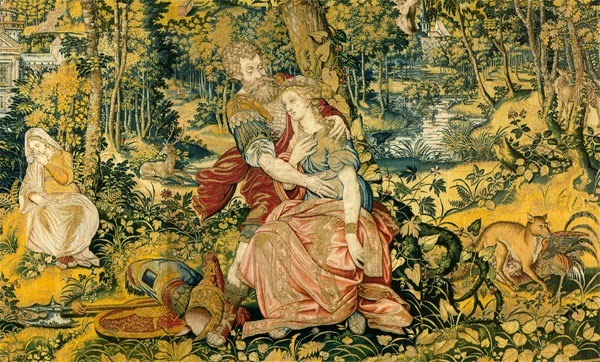 Tapestry woven in the Brussel, in Atelier de Francois Geubels 1560. Wool, silk, gold- and silver thread. Size 355x410 cm. Original work is nowadays in Wien, Kunsthistoriches Museum.